We specialize in auto accident cases. Find out how Ryan can help you today. including the “Rising Star” award from Super Lawyers Magazine. Ryan Hilts was named a “Rising Star” by Super Lawyers Magazine, a selection for the top attorneys under 40 years old. He was also listed in the Portland Monthly Magazine as one of Oregon’s Outstanding Young Lawyers. Oregon Lawyer Ryan Hilts has specialized in personal injury law for nearly fifteen years. His years of experience have fine-tuned his legal skills and have given him the expertise to determine the most efficient and effective course of action for each case. His goal is to provide each client with the finest legal service to reach the best possible outcome. For a more personal approach to law, contact Ryan Hilts, a personal injury attorney in Lake Oswego and the greater Portland, Oregon area. For your convenience, Oregon Attorney Ryan Hilts has offices in Lake Oswego and Bend, Oregon. He offers a free in-depth consultation to answer your questions. Oregon Lawyer Ryan Hilts works largely on a referral basis and is proud to have so many clients referred to him by past clients, which he feels is one of the highest compliments he could receive. See what some of Ryan’s past clients have to say about his legal services. 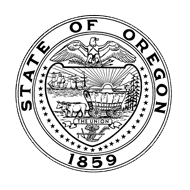 He accepts cases in the Portland Metro area, Bend, Oregon and throughout Oregon and Washington, including the following cities: Eugene, Salem, The Dalles, Grants Pass, Klamath Falls, Medford, Mt. Hood, Redmond, Roseburg, Sutherlin, Vancouver, Washington, and towns along the Oregon Coast. For your free case review, contact Ryan Hilts: (503) 726-5960. Do you accept cases outside of Portland? Yes. I handle cases throughout Oregon, including Bend, Klamath Falls, Medford, Roseburg, Beaverton, Lake Oswego, Oregon City, Tigard, Tualatin, Wilsonville, Milwaukie, and even Pendleton. I also handle cases in Washington. My fees are contingent on the outcome of your case. This means that I do not charge for my services until we successfully win your case. At that point my fees are a percentage of the amount we obtain from the other side. There is no charge to you in the unlikely event we are unable to recover. Will I be responsible for paying the costs associated with my case? Unlike many other attorneys, I do not ask my clients to pay their own legal costs associated with their case. I pay them out of my own pocket and recover them out of the settlement at the end of the case. In the rare event we are unable to recover at the end of your case, I do not require you to repay me for the costs I have advanced during your case. Do you have personal contact with your clients? You will receive my personal attention throughout your case. The value of your personal injury claim is dependent on hundreds of factors. The most important are the extent of your injuries and the amount of your losses. If an attorney is not involved, insurance companies will gather your medical records and bills, and will put a “value” on your case based on the nature of your diagnoses and treatment in addition to the other economic losses you have suffered. Often these “values” do not take into consideration the extent of your “pain and suffering,” which are your personal losses (such as loss of your activities and your physical limitations). You will be given an offer by an insurance adjuster that is much lower than what they are willing to pay. Unfortunately, many people accept the “low ball” offer and are never fully compensated for their losses. An experienced injury attorney can help you recover what you have lost as a result of your injuries.